All Purpose Steamers, LLC - Serving the New Haven, Fairfield, Middlesex & Litchfield counties of Connecticut. 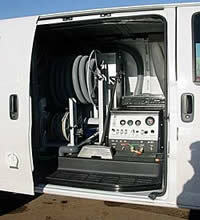 We use the top of the line truck mounted deep steam cleaning equipment. It's the #1 Van-Engine Powered Carpet, Upholstery, Fabric, Tile - Grout and Restoration Cleaning System. Carpet & Upholstery Cleaning: Serving the New Haven, North Haven, East Haven, West Haven, Hamden, Branford, Wallingford, Woodbridge, Orange, Derby, Ansonia, Shelton, Seymour, Milford, Stratford, Fairfield, Norwalk, Rowayton,Westport, Wilton, Weston, Easton, Stamford, Old Greenwich, Cos Cob, Riverside, & Greenwich. Also serving Middlesex & Litchfield counties of Connecticut. Copyright 2004-2011, All Purpose Steamers, LLC. All rights reserved. Web Design by Audet Web Design, New Haven.